Maine-ly Harmony performance will take place at Kennebec Community Church in Augusta. 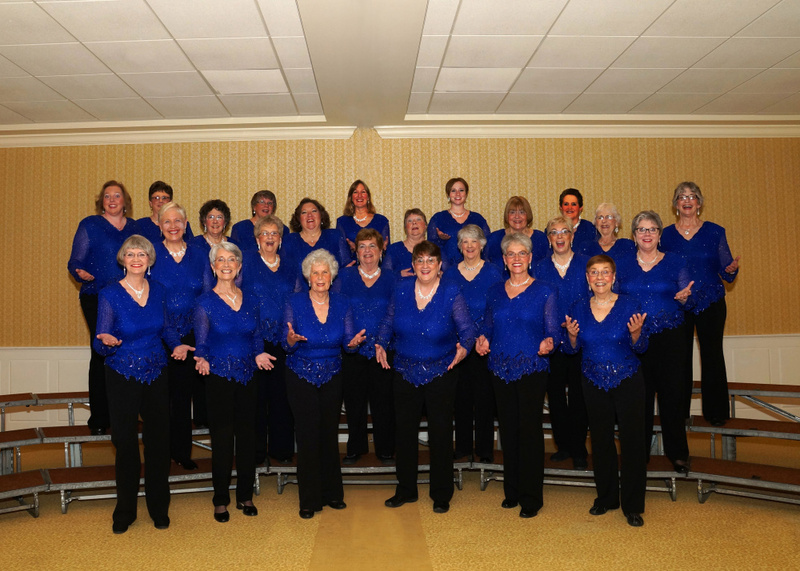 AUGUSTA — Maine-ly Harmony women’s a cappella chorus, directed by Kathy Greason, will present “Hollywood Hit Parade Encore,” at 7 p.m. Friday, April 7, at the Kennebec Community Church, South Belfast Avenue. The performance is in response to popular demand for a revival of last year’s show, which combined lively commentary and big screen visuals about the stars and movies with the hit songs they produced. Joining the chorus will be Master of Ceremonies Rick Danforth, quartets Heart ‘n’ Soul and Windsong, the Route. 17 Ramblers, named Best Vocal Group of 2016 by the Maine Academy of Country Music, and the Nor’Easters men’s barbershop chorus, based in Bath and directed by Kathy Robitaille. Admission cost $15 for adults, $12 for seniors and students. For more information, call 293-4779.